American shoe brand, Saucony, has recently hit Australian shoe store, Platypus. The shoe brand makes both shoes for athletic use but also for day wear with their fashion line called Saucony Originals. Saucony Originals come in many colours, ranging from plain black to light blue, buttery suedes, magenta... you name it! 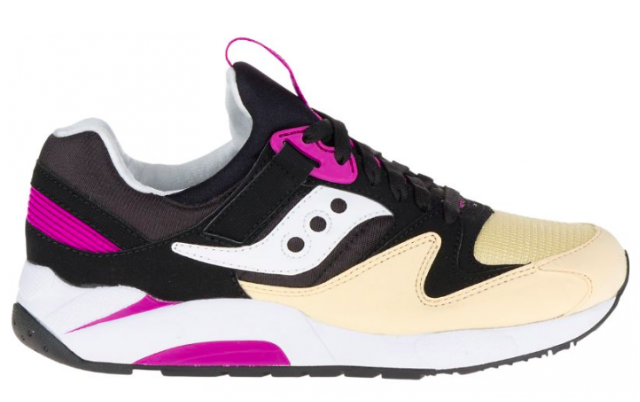 The retro style shoes have been inspired by some of Saucony's vintage and most iconic silhouettes from the Shadow Original to the Grid 9000. Ranging from $130 to $150, you can easily add colour to your step this Autumn with Saucony Originals! The Saucony Originals range will be available in Platypus in multiple colourways from February 2015, with limited releases rolling out throughout the year. Get The 2016 Grammy's Look!